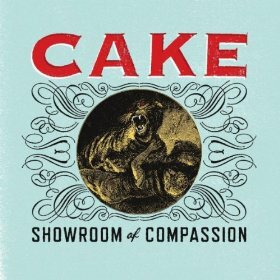 Please enjoy this seven years in the making, little (long-awaited) ditty, "Federal Funding," the first song off of Sacramento band Cake's new album, "Showroom of Compassion." A Delightful Day For A Saturday! Thank You, My Font Hero!!! Such a perfect day, I’m reminded of the road trip master mix and the singing of Lou Reed. Appreciating the new Cake album, the clouds and coffee.